Ludwig Wittgenstein, born in Vienna, Austria to a wealthy family, is considered by some to have been the greatest philosopher of the 20th century. He continues to influence philosophical thought in topics as varied as logic and language, perception and intention, ethics and religion, aesthetics and culture. As a soldier in the Austrian army in World War I, he was captured in 1918 and spent the remaining months of the war in a prison camp, where he wrote the notes and drafts of his first book, Tractatus Logico-Philosophicus. It was published in 1921 in German and then translated into English the following year. In the 1930s and 1940s, he conducted seminars at Cambridge University, his alma mater, and wrote his second book, Philosophical Investigations, which was published posthumously. His conversations, lecture notes, and letters, have since been published in several volumes, including Ludwig Wittgenstein and the Vienna Circle, The Blue and Brown Books, and Philosophical Grammar. 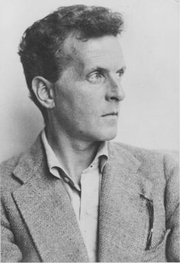 Ludwig Wittgenstein is currently considered a "single author." If one or more works are by a distinct, homonymous authors, go ahead and split the author. Ludwig Wittgenstein is composed of 27 names. You can examine and separate out names.